Bio X4 2017 Reviews: Is it Worth Buying? This BIO X4 review aims to be a comprehensive take on Nucific’s star product, with the kind of approach that only hindsight can generate. We will start by taking a look at the official description of the product and an in-depth analysis of the manufacturer – its status and its other products and their composition. Then, we will proceed to a thorough examination of the ingredients in “BIO X4” considering if the ingredients really do make a valid case for the purpose of weight management. A quick evaluation of the body of existing reviews will precede the final take on the most important question posed by the existence of any nutritional supplement – in the absence of official conclusions (i.e., state-sanctioned), is this product worth your money and time? 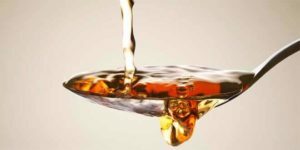 The nature of value in today’s nutritional supplement market is a fleeting one, as numerous products are launched every week, purporting to contain a unique formula in order to achieve a rather limited set of effects on the overall well-being of the consumer. This deluge of products naturally affects the value of each supplement. One way out of this conundrum is to move away from the shiny descriptions that marketers always seem to have for every new product, and concentrate on supplements that have stood the test of time. Yet the shelf-life of such commodities is so limited that a supplement such a Nucific’s “BIO X4”, with less than two years on the market can be considered a veteran. One could argue that supplements with a bit of history are automatically more trustworthy than new arrivals, yet nothing can replace a comprehensive, detailed analysis. The constant rise in obesity rates over the last few decades coupled with the contemporary Western aesthetic ideal of slenderness means that there is an ever-growing market (and competition) for the weight management nutritional supplements. Manufacturing companies are constantly trying to pitch solutions to those seeking to lose weight that range, at least in form and tone, from impossibly scientifical to outright outlandish. BIO X4 is more on the scientifical end of the spectrum, though Nucific does not exaggerate with the use of overly scientific terms or reasonings. The product gets its name because four types of natural ingredients – probiotics, digestive enzymes (amylase, lipase and bromelain), catechins (specifically EGCG – epigallocatechin gallate, popularly known as green tea extract), and Caralluma Fimbriata (extracted from a type of cactus native to southern Asia) – are supposed to work together to have a four-pronged effects for individuals seeking to lose weight. 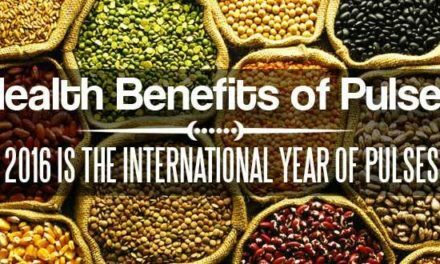 These components should help people feel reduced urges to overeat, increase the activity of the metabolism of burning fats, help the body assimilate more nutrients from food, and considerably reduce digestive discomfort. The recommended dosage is one capsule before each meal of the day. The target of BIO X4 is significantly wide – people leading busy lives that prevent them from keeping up with the harsh demands that most diets impose upon the individual. In order to appeal to the vegan-oriented public, these supplements do not contain traces of lactose or other preservatives or filters, with the capsules being wholly vegetarian. BIO X4 has been available for purchase through the Internet for a little over 18 months now, and a curious piece of information has caught our eyes regarding the early days of the supplement. A couple of months after its launch, its composition was modified to that of the present day, listed above. The Caralluma Fimbriata extract was not part of the initial recipe, oxitriptan (also known as 5-HTP, an acronym for 5-Hydroxytryptophan) being part of the initial concoction. This is a naturally occurring amino acid, whose properties include aiding sleep and antidepressant effect, yet it also acts as an appetite suppressant. Several severe side effects of 5-HTP have been observed (vomiting, diarrhea, heartburn, and drowsiness), therefore it was replaced by Caralluma Fimbriata to play the appetite suppressant part. This is an important detail because the overall credibility of the product suffers as a whole in the context of this little-known information. Nucific is closely associated with the name of Dr. Amy Lee, whose very brief credentials are presented on the official website and, if one cares for reading between the lines, is a family practitioner with a penchant for nutrition, evidenced by a UCLA fellowship. Nevertheless, she is a bit of a YouTube star, daytime television, and social media darling. On the other hand, she is a member of prestigious nutritionists’ associations and has played an integral part in the establishment and running of the Integrated Wellness Center in Los Angeles. Nucific lists as its mission the deliverance of high-quality, carefully researched nutritional supplements counteracting obesity, as a response to the food market that is filled with products lacking in the nutritional department and their vitaminic input. Their self-portrait stresses the fact that they use only the most potent ingredients which are backed up by studies exhibiting cutting-edge medical thought and science. The company assures its clients that all their products are regularly tested by third-party laboratories, yet no actual details are advanced, in line with the assertion of all opacity-seeking supplement manufacturers. Their mailing address is for Tarzana, California and they pride themselves in the fact that the whole production cycle is restricted to California, with the business recognized as “green” by the city of Los Angeles, mainly due to their bottles and boxing manufactured from recyclable materials. In the footer of the presentation page, the regular information about the legal status of dietary supplements is present. The issue of pricing is always an important one, and the following details can leave one dumbfounded. On the Nucific website, a month’s supply of BIO X4, that is 90 capsules, can be bought for $99, while on Amazon the same amount goes for $39.99. Higher supplies of the supplement maintain this huge disparity. Another interesting and suspicious detail concerns the terms and conditions upon purchase from the official website – clients are bound by an arbitration agreement which stipulates that Nucific is not responsible for any damages resulting from their products if the situation of a class-action lawsuit may arise. This type of agreement is the norm for companies which sell their products exclusively online, however, it does contribute to the already dented image of Nucific, a consequence of the facts presented above. Probiotic Complex – Nucific’s standard probiotic supplement contains 15 different strains of the Lactobacillus, Bifidobacterium, Lactococcus and Streptococcus The 139 mg capsule to be taken once daily boasts an impressive CFU-count of 30 billion, which is on par with the other probiotic supplements on the market, holding true Nucific’s assertion that their blend is one of the most powerful. $45 will get you a month’s supply. Antarctic Krill Oil Supplement – Krill oil is the new darling of the dietary supplement world, considered a more potent alternative to plain fish oil. It seems that fatty omega-3 acids in krill oil can be assimilated better by the human body. The main pitch that Nucific makes concerns that the krill from which the oil is manufactured comes from the Antarctic, the place on Earth least spoiled by human presence. $39 for a 30-day supply. Digestive Enzymes Supplement – One of the causes of bloating and general digestive discomfort is a lack of naturally occurring enzymes in the system, a problem that can be addressed through an enzyme supplementation. This supplement from Nucific contains 15 different enzymes – from amylase to lactase to invertase – with one or two capsules to be taken with each meal of the day, although individuals should consume no more than six capsules a day. $49 will get you a month’s stock. Deep Cell Activator – Probably Nucific’s most innovative and promising supplement, Deep Cell Activator is supposed to be an aid to those who cannot eliminate excessive belly fat through the activation of a special enzyme, called AMPK, which boosts cell metabolism. Two capsules each day on an empty stomach should be consumed, containing the activators – extracts of Gynostemma pentaphyllum, Quercetin, and Berberine – herbs used in traditional oriental medicine. $89.95 for a month’s supply. CL X3 – This supplement is Nucific’s take on the properties associated with the well-known Conjugated Linoleic Acid, extracted from safflower. It should help people looking to lose weight through a regimen of both dietary supplements and intense physical exercise. The recipe is completed with grapefruit seed extract and fucoxanthin, CL X3 promising to increase metabolism and decrease appetite. $47 for a 30-day stock. Nucific insists that any buyer who is not satisfied with the results of their supplements after a period of 90 days will get their money back, simply by mailing them the empty containers. Obviously, this claim has no basis in reality, with many client complaints existing online and, as we have stated above, the arbitration agreement acts a de facto shield from any type of complaints. Let us start by taking into consideration the probiotics blend present in BIO X4. Each capsule contains 4 billion CFU’s of a blend comprised of 5 strains of bacteria. This adds up to 12 billion CFU’s to be ingested each day, according to the suggestions of use. 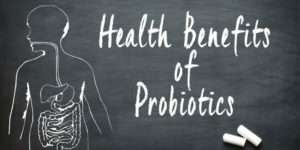 Nucific cites two scientific studies on the benefits of general probiotic supplementation: a study published in 2003 in the Alimentary Pharmacology & Therapeutics journal, which found out that a consistent intake of a 45 billion CFU’s probiotic blend helps with the bloating and diarrhea associated with Irritable Bowel Syndrome (IBS); and a more recent study published in 2014 in the European Journal of Applied Physiology which concluded that a mere four weeks of supplementation with a blend of probiotics from the Lactobacillus, Bifidobacterium, and Streptococcus strains, amounting also to 45 billion CFU’s, can boost physical performance by making the human body more resistant to fatigue in conditions of heat, although the exact mechanisms of this process have not been elucidated. 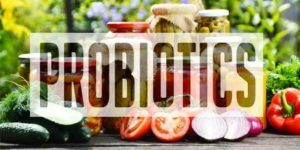 Lactobacillus Acidophilus – probably the most common and the best-researched strain of probiotics, it has been used in supplements for several decades now, with numerous claimed benefits. Nevertheless, if one considers its clinically proven effects, they are limited to counteracting diarrhea induced by antibiotic use and the alleviation of symptoms caused by vaginal and urinary tract infections. 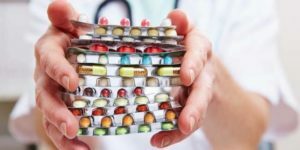 There is a slim possibility for some shady dietary supplements to contain dangerous impurities. Lactobacillus Rhamnosus – is a strain that has not been as thoroughly researched, therefore its effects can only be considered claims. Some suggest that it helps with distressing stomach acid reflux, thus contributing to the lessening of anxiety states. 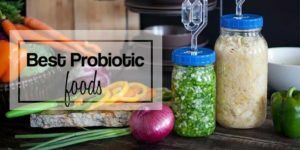 Lactobacillus Plantarum – is a probiotic strain that stands out due to its resistance to the gastrointestinal tract’s natural acid, and other bacteria. In fact, Plantarum is a natural antipathogen. There have been numerous cases, though no definitive clinical evidence, that this strain is especially effective in neutralizing the symptoms of IBS. Bifidobacterium Lactis is another well-established strain in the world of dietary supplements, and its claimed benefits include a regulation of bowel movements, an aid in cholesterol level control. A Lactis supplementation is rumored to help with tumor shrinking associated with radiotherapy. 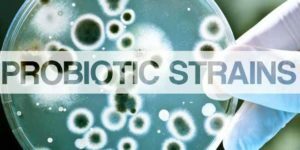 Bifidobacterium Animalis is a bacterial strain whose presence is essential to the health of the large intestine, by preserving the optimal pH levels. B. Animalis also helps with the assimilation of vitamins from the B complex, contributes to keeping in check of nitrite levels, some nutritionists prescribing supplements containing the strain for the dietary management of certain liver conditions. Many people could argue that the digestive enzymes blend, an amount of 43 mg per capsule, is supposed to be the most important ingredient in BIO X4, as they should directly contribute to an easier and more efficient digestion, considering the fact that enzymes are essential, special proteins. Amylase is a digestive enzyme produced by the salivary glands and, chiefly, by the pancreas, which acts as a catalyst in the conversion of foods containing sugars into glucose, the biochemical compound which powers the organism’s cells. 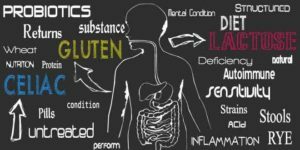 An abnormal level of amylase, whether too low or too high, is a sign pointing towards a dysfunctional A well-founded assumption, though not a definitively proven one, concerns the numerous additives found in industrially-processed foods, which influence the activity of the pancreas. Amylase supplementation should not commence before consulting a doctor or pharmacist. Bromelain is an enzyme of vegetable origin, which is extracted from the fruit and stem of pineapples and has proven anti-inflammatory effects. There are several theories regarding other uses, however, they are yet to be scientifically proven. An interesting detail concerning bromelain is that for it to be effective in ordinary cases of joint pain or colitis, the usual dose varies from 240 mg to 960 mg per day. Lipase is an enzyme crucial in the breaking down and assimilation of fats. There are numerous lipases, of animal, plant or fungi The particular lipase in BIO X4 is extracted from a fungus called Rhizopus oryzae. Different variants of lipases perform different, albeit related biochemical functions. Human lipases are mostly secreted by the pancreas, liver and salivary glands and, as an interesting detail, it should be mentioned that the activity of some lipases is not limited to the gut. Lipase supplementation is clinically proven to be effective in cases of cystic fibrosis, and it can be beneficial in cases of Chron’s disease, heartburn, celiac disease and overall indigestion. A relevant detail to the enzyme blend in this supplement is that while for the other ingredients several scientific studies are cited, when it comes to this one, there is no scientific argument presented by the manufacturer in order to, at least partially, back up the claims made. The Caralluma Fimbriata in BIO X4 should act as the appetite suppressant, with 166 mg of it contained in each capsule. Consuming Caralluma in its natural state, it is a cactus native to India, is nothing novel, as inhabitants of the Indian subcontinent have been incorporating it in their diet for centuries. 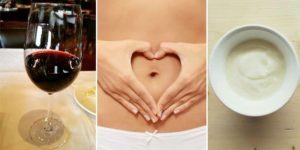 There is a popular assumption that it helps people lose weight by decreasing food cravings, however, there is no scientific evidence for this. A 2007 paper is referenced, yet the conclusion of said paper places the effects of Caralluma extract only “appear” to influence appetite and reduce waist circumference. The last component of BIO X4 we will consider is EGCG (short for epigallocatechin-3-gallate), a variant of catechin, which is most abundantly found in green tea. As chemical compounds, catechins are antioxidants. EGCG is used in a number of dietary supplements, a highly marketable compound due to its antioxidant effect, although a number of warnings have been issued by the FDA and analogous authorities in other countries against considering EGCG as medicine. It remains an under-researched substance. BIO X4 is a supplement that has quite a bit of history, taking into consideration the mean shelf-life that dietary supplements generally have, having been trademarked in June 2015. Because of this history, the reviews abound, although they are not quite so flattering in comparison with other well-established supplements. Nevertheless, a positive sign is that there are few affiliate websites trying to artificially direct traffic, a practice used by most manufacturers of dietary supplements, be they honest or dishonest. Nucific’s BIO X4 reviews are never scathing, one could best label them as ambivalent. The validity of the blends that make up the supplement is never questioned, however, the policies of the company (which we have analyzed at length in the second section of this review) are the main points of criticism in almost every review that can be found online. The marketing angles are another frequent criticism – as BIO X4 is chiefly presented as a dietary supplement for alleviating digestive problems, yet its official label is that of a weight loss aid. In fact, a review from specialized weight loss review website outright rejects BIO X4 as a possible solution for weight loss. This particular review points out the originality of the supplement’s formula, yet it considers that the ingredients do not possess sufficient scientific backing to guarantee a weight loss effect. On the other hand, there is no shortage of glowing reviews for Nucific’s flagship supplement. 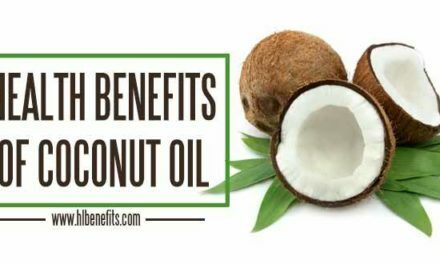 Other reputable websites place their trust in this supplement, an attitude that seems to find echoes with their users, although it should be noted that the review is recognized as a paid advertorial. We are NOT affiliated with Bio X4 in any way, and we were NOT paid to write this review. As for our own, objectivity-driven verdict, the arguments both for and against are in the body of the review. Nucific certainly has an original approach in creating a supplement mainly for weight loss purposes, enforced with a probiotic blend to further strengthen the digestive flora. Several studies are cited for a minimal scientific support in favor of the blends used in BIO X4. There are a few testimonials online which confirm that the supplement has indeed reduced their previously strong food cravings. Nucific seems to be a legitimate company, through its practices take full advantage of legal provisions. All in all, one should trust the ingredients in BIO X4, but consider that all our bodies are different, and it may or may not work for you. After seeing this I am willing to try but what’s the best deal available as I’ve seen it’s a little bit pricey so where do I get the cheapest bio x4? Thank you for providing an objective review. All other reviews I’ve come across online were basically identical advertisements with no objectivity whatsoever.